At Top SuccessSite.com we deliver some of the best success advice around. I have had the opportunity to work on thousands of deals and to work with some great people along the way. It is from these experiences that I developed my ideas on success. As I have worked with literally thousands of people over the years, there is one story that seems to pop up time and time again in my head. It is a story that was told to me some years ago, and to be honest I cannot even remember who told me the story. I can tell you this though, not a week goes by now that I don’t run into someone who makes me think of this story. It is a simple story, yet it is so relevant in the business world today that we thought it would be worth sharing with our readers. Now I am going to warn you. The first time it was told to me I heard it and kind of walked away going yeah, ok whatever, but once you hear the story and really understand what it means you will chuckle every time you run into one of the types of people the story is referring to. The story explains why some people just do what they do even though it makes no sense at all. 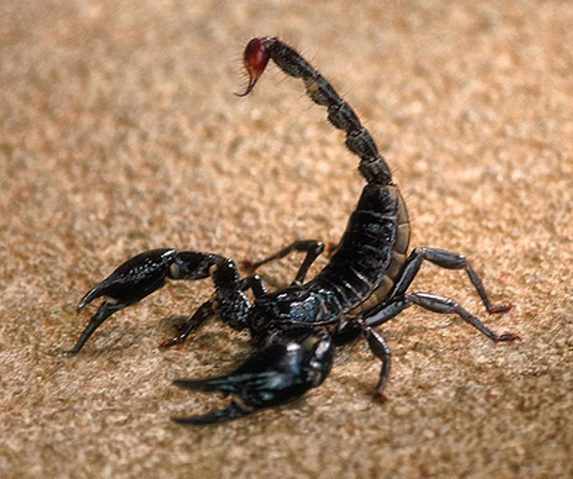 I hope you enjoy the story, and I wish you success avoiding the Scorpions. One day a Scorpion was on the side of a river bank trying to figure out how to get across the river to the other side when a frog approached from a distance. The frog saw the scorpion and immediately stopped before getting to close. The frog knew that the scorpion could be the death of him if he was not careful. The scorpion looked over to the frog and asked if the frog would take him on his back across the river. The frog laughed and said “no way, you will sting me, and if you sting me I will die”. The scorpion waited a moment and said “wait that makes no sense”. “If I sting you we would both drown”. “I’m not going to sting you if I really want to get across the river”. The frog thought about it for a moment. It made sense. They would both drown. So the frog proceeded to come closer to the scorpion. The frog said, “Get on back and I will take you across the river just as long as you promise not to sting me”. The scorpion laughed and said “trust me, I don’t want to drown”. As they ventured across the river they approached half way point when all of a sudden the frog felt a terrible sting in his back. Immediately the frog’s legs began to stiffen as paralysis was setting in due to the sting he had just received from the scorpion. In great distress he asked the scorpion “why did you sting me, now we are both going to drown”. We are both going o die. The scorpion simple replied as he was about to go under the water and die via drowning “because I am a scorpion and that is what scorpions do”! This a fable that most people believe originated from somewhere in Africa, but the message is no doubt international. How many times do we see people who do something that just makes no sense. Things like not using good judgment, taking an ethical misstep, act in a senseless manor, cause others damage, lie, cheat, steal, etc., and we ask ourselves why? We reason and look philosophically for answer. When the answer is actually fairly simple, and it is simple because some people are scorpions, and that is just what some people so. That is how some people are built. No sense in asking. Just be aware these people are out there and remember what happened to the frog! TopSuccessSite is a top success blog. We offer the best free success information as well as success advice and peronal growth ideas. If you are looking for the best success website then Top Success Site is for you www.topsuccesssite.com.